It is true that people communicate so much more effectively in person, but who really has the time to always be on the road attending meetings and conferences? Video Conferencing is one of the most practical and beneficial network communication tools around today. This simple solution can save your business time and money by cutting out travel cost and lost productivity for staff members and management alike. 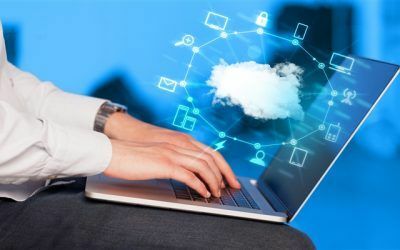 If you have remote workers, sales staff or customers who regularly travel for business, video conferencing is a great way to cut costs and stay connected. Meetings can take place without ever leaving the office and you can connect with anyone worldwide with very little notice. No longer limited to just room based units, video conferencing has developed immensely giving you the ability to connect to a conference via portable devices or through the “clouds” virtual meeting rooms, and with meeting rooms available 24/7 it doesn’t matter if you need to call a meeting in Aberdeen or Antarctica, a few clicks and you can have real communication and all from simply turning on your webcam. Best yet you can even swap between devices seamlessly; computer, smartphone or tablet, the choice is yours. 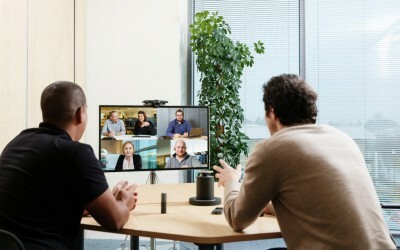 Video conferencing can be used in a host of different environments which is one of the reasons the technology is so popular, with some employers recognising significant benefits that come by allowing employees, in particular those with children, to work to their own schedules, with some even stating an increase in the productivity of their business. Whether it’s brainstorming with head office, documenting important sessions to use in your training sessions or interviewing potential candidates, video conferencing gives you the flexibility you need whilst delivering cost savings, increased productivity and even protects the environment by reducing your carbon foot print. 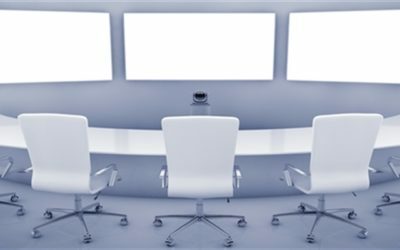 As a full service video conferencing provider, we offer the expertise you need to make video conferencing a valuable asset in your business. We partner with you to design, deploy, support, optimise and manage a solution that delivers a seamlessly integrated video conferencing experience for all of your business requirements and combines both simplicity with powerful capabilities. Make every meeting count and reduce operational costs for everything from sales and product development to telemedicine or virtual field trips to enhance pupils learning. Video conferencing offers many benefits for businesses and is the perfect solution if you want to stay ahead of your competitors and increase the productivity of your business. Would you like a meeting room type system? How many different locations or people would you want to able to invite? What will be the main use for your business? Established in 2001 Tech Advance offer business IT and telecommunication solutions throughout the UK. As a leading supplier of business grade video conferencing solutions we are committed to providing exceptional service and support to all of our customers throughout Lancashire, Merseyside and the Northwest in the following areas: Blackpool, Preston, Southport, Liverpool, Manchester, Bolton, Bury, Wigan, St Helens, Blackburn, Burnley, Leeds, Warrington, Stockport, Oldham, Chester and Salford, however please do contact us wherever you are based as we can support clients anywhere in the UK. Simply fill in the contact form above specifying the video conferencing requirements for your business and one of our specialist advisors will contact you shortly.